If you’re like most people, you’re probably going to need to secure a mortgage loan for the purchase of your new home. Application for a home loan can take as little as one week or up to a month, depending on the type of mortgage. 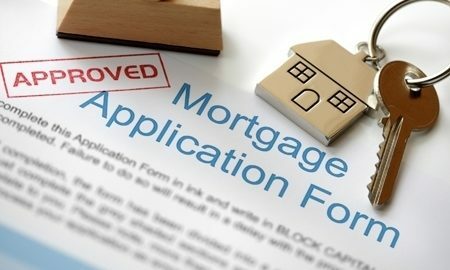 Application: The application process is where you fill out the application, answer questions and sign various forms that authorize the lender to process your loan. The lender is going to have quite a few questions for you but if you review the list at the bottom of this page you’ll be prepared for them and will expedite the processing of your loan. Also included in the list are the documents you’ll need to bring with you to your appointment. After your loan application is received, your lender will need to provide you with a Good Faith Estimate and a Truth In Lending Disclosure Statement (both of these forms must be provided within three business days of applying for a loan). Both of these documents provide estimates of the costs associated with the loan you are applying for and are useful when comparing loan offers. Processing: When all of your documentation is received it then goes to a processor who verifies and validates all of the information to be true and correct. Verification requests may be sent to your employers, mortgage holder/landlord and lending institutions. It is usually during this time frame that the appraisal and the title policy are ordered. When all the information is collected the processor then verifies that basic lender loan requirements have been met, then the file is packaged in a manner the lender specifies. The completed package (including the appraisal and title report) is then sent to the underwriting department either in house or to a lender-specified location. The processing of your loan usually takes about a week but it is often delayed when third parties do not respond to the validation requests or appraisals are delayed. Underwriting: The underwriter reviews your loan package to make sure it conforms to all the guidelines required for that loan product. They also review the appraisal and title report and may do additional validation of employment, mortgage payments, and credit. And, anything else they feel is necessary to document your loan. They have ultimate power and decision authority over the approval of your loan. Clear Conditions: When the underwriter is done reviewing your loan she will send “conditions to close” to your loan officer. These are normally just requirements for further documentation to support your file. When these needs have been satisfied the underwriter will give a final approval and “clear to close”. Clear To Close: When the loan officer gets the clear to close he then schedules and coordinates with all the parties the time and location to sign the final documents to close the loan. Closing: When everything is scheduled the lender then draws the document package and sends it to the closing company. This can be done by overnight delivery, fax, or electronically. You meet, sign the papers, and pick up the keys. To speed up the application process, bring the following applicable items to your loan application appointment. Copy of Driver’s License and Social Security Card. Past two years W-2 statements or 1099’s. Income received for commissions, bonuses, partnership(s), corporation(s), or if self-employed, requires two (2) year’s Personal Federal Tax Returns with all Schedules along with a current P&L Statement and Business Balance Sheets and past two (2) years Partnership and/or Corporate Returns, if applicable. All bank account numbers and their approximate balances. Your assets (real estate, personal property, paid-up life insurance, etc.). A complete list of debts (include account numbers). A copy of the purchase agreement for your new home. A written account of any problems that may concern your loan application, such as explanation of bankruptcy, late payments, etc. As you work one-on-one with your chosen mortgage broker, he or she should be able to offer valuable lending expertise and advice and answer all your questions while ensuring that your loan application process progresses as smoothly and quickly as possible.